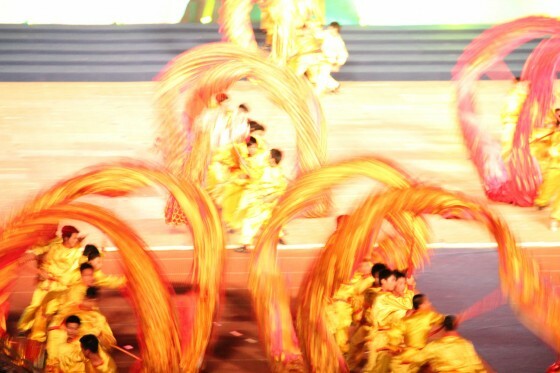 Fireworks fill the Hanoi night sky above My Dinh National Stadium as dragon runners and their cheerleaders take part in the Official Inauguration ceremonies listing Halong Bay as one of the New7Wonders of Nature. In front of cheering spectators in My Dinh National Stadium in Hanoi, Deputy Prime Minister Nguyen Thien Nhan thanked the Vietnamese at home and abroad, who had voted for Halong Bay. 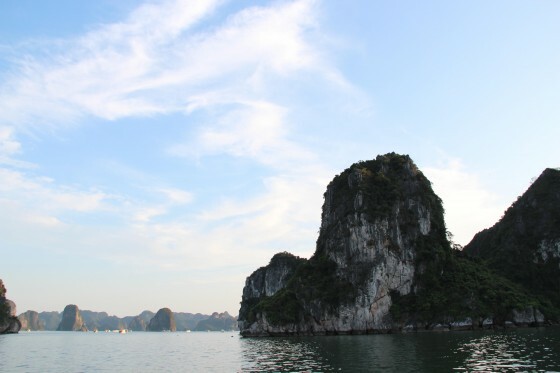 “I also hope that local authorities and government agencies will increase their efforts to preserve the natural values of the bay in the near future,” he added during the unveiling of the plaque listing Halong Bay as one of the New7Wonders of Nature. 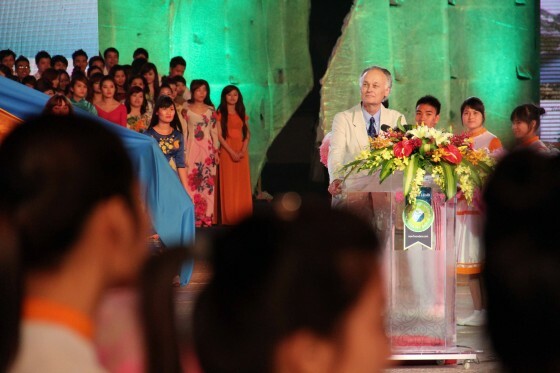 Bernard Weber, Founder-President of New7Wonders, praised the people of Vietnam for their commitment to the four-year campaign and urged them to be careful custodians of their Wonder. 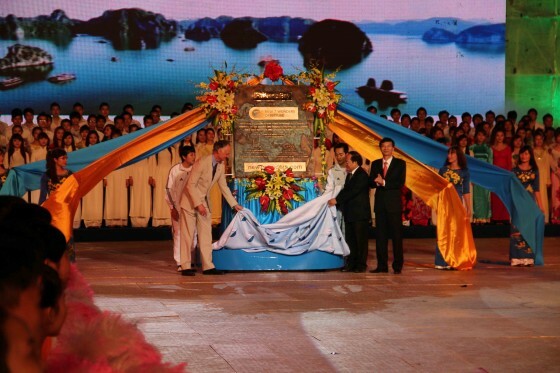 Founder-President of New7Wonders, Bernard Weber, (left), with Hoang Tuan Anh, the Minister of Culture, Sports and Tourism, (right) and Nguyen Thien Nhan, Deputy Prime Minister of Vietnam, during the unveiling of the Halong Bay commemorative plaque in Hanoi. 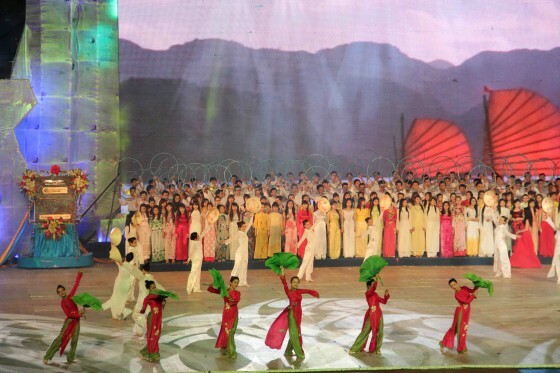 The modern face of Vietnam in the form of some of its most popular contemporary performers was also visible during the Official Inauguration ceremonies in Hanoi for Halong Bay. On 1 May, a very special day in the calendar of Vietnam, the celebrations moved to Halong Bay itself, the place that has become part of Global Memory by being added to the New7Wonders “canon of 7”. 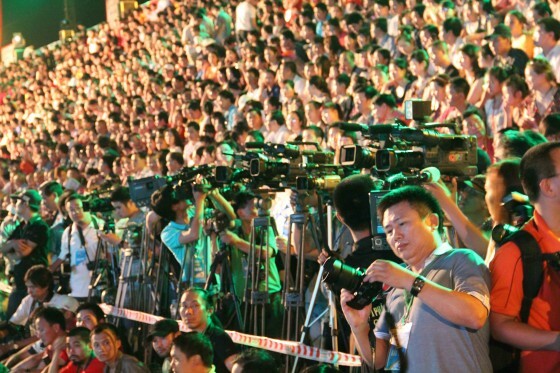 Huge crowds gathered in Halong City, the capital city of Quang Ninh province, to take part in the celebrations marking the listing of the local bay as one of the New7Wonders of Nature. 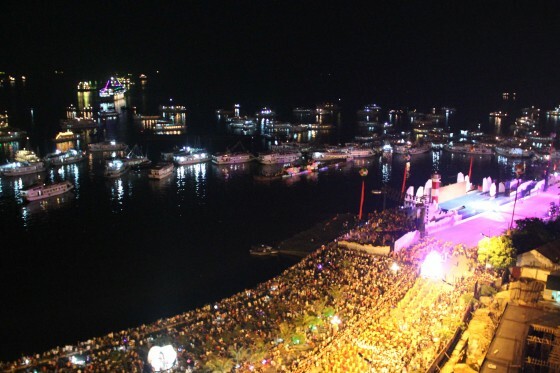 Against the backdrop of Halong Bay with its boats at anchor, the stage was set for a night of drama, music, colour, fireworks and fun. 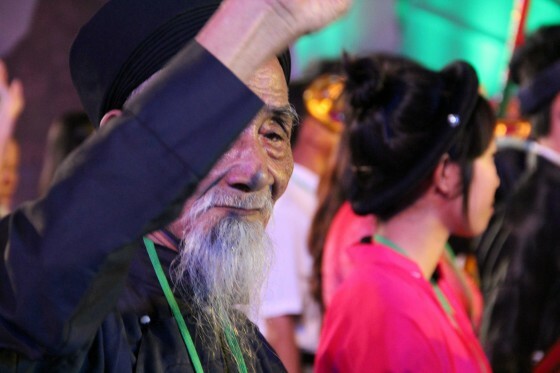 The ethnic groups that make up Vietnam’s Quang Ninh province, including the Kinh, Dao, Tay, San Diu and San Chi peoples, took part in the Halong Bay New7Wonders of Nature celebrations. 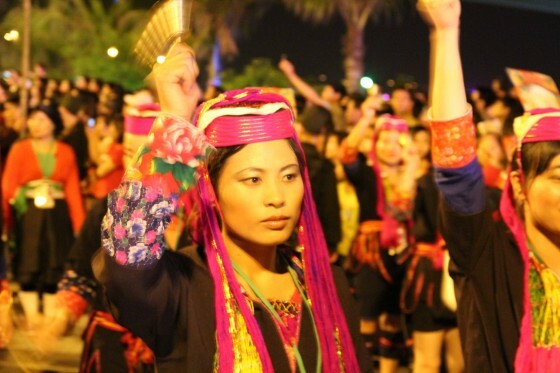 Groups representing the Nung, Muong, Kh’me, Hre, Hmong, Ede, Co Tu, Gia Rai, Ngai, Xu Dang, Co Ho and Ha Nhi peoples also attended the celebrations in Halong City. 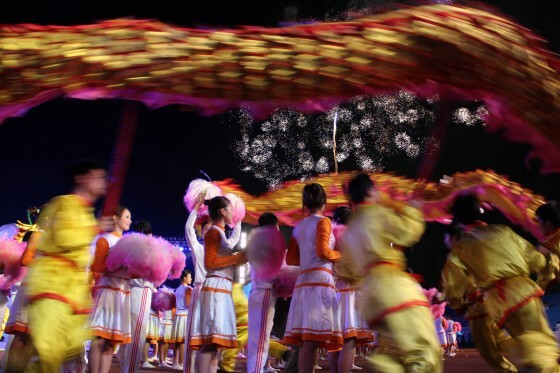 According to an ancient creation story, the Vietnamese people are descended from a dragon, and the symbolic dragon, expressing the folklore and mythology of the country, was a constant motif in the Halong Bay celebrations. For Bernard Weber, Founder-President of New7Wonders, the Official Inauguration ceremonies in Hanoi and Halong City were a confirmation of the success of his global vision.